KI Jewelry. 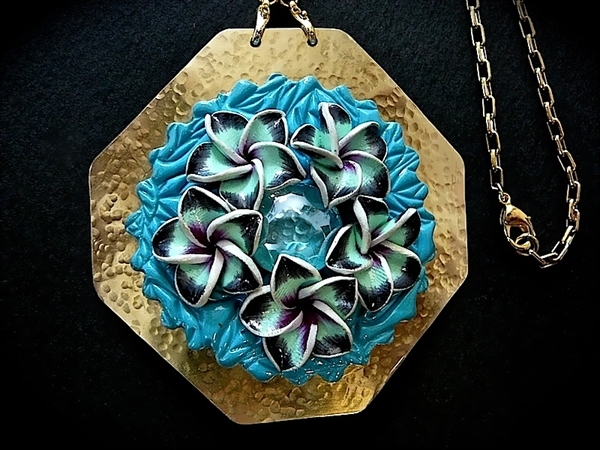 Brass pendant from polymer clay and glass. 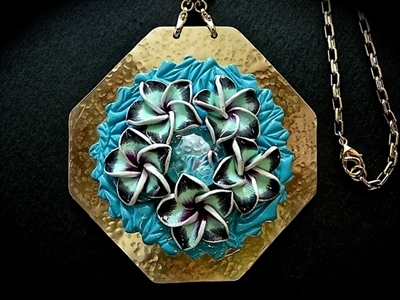 Brass pendant from polymer clay and glass. Chain length is 65 cm. Pendant is: width 7cm x lenght 7cm.